Regularly backing up your digital media, such as photos and videos, is essential. There's a school of thought that says PCs and laptops themselves aren't important, and that their contents are what gives them their value. After all, information is power, and the information contained in a document on a hard drive can be nearly impossible to replicate or replace. The hardware on which it's stored is almost immaterial. What's indisputable is that a lost set of photos or home videos is a good way to ruin a weekend. When some of my cherished holiday snaps went missing, gentle admonitions were swiftly followed by more panicked pleas to check that everything on the PC had been safely copied across when it got its Windows 7 upgrade. Such a reassurance was not forthcoming, and we were getting perilously close to war of the Rosies territory. Thankfully, my habit of copying files on to any USB drive, laptop or desktop PC with the space to take it has since proved its worth, and the photos in question are safe and well. But it certainly made me pull up my storage socks. I've started scheduling regular backups, and now store things in a far more orderly fashion. For the average home PC user, misplacing or deleting files is likely to be at least as much of a concern as the ever-present threat of hackers and data thieves. Yes, you want to be sure your painstaking research remains yours and yours alone until you choose to share it, but it's just as vital to have a copy in case the original gets corrupted. 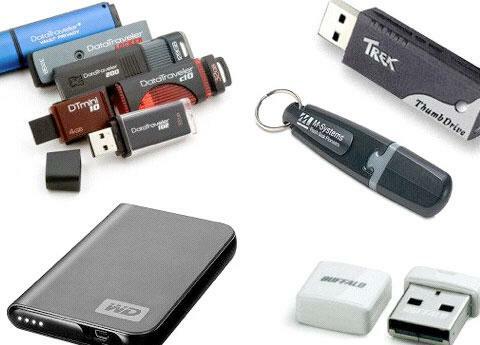 A set of USB drives might do the trick, but these aren't designed for permanent storage and go wrong fairly frequently. It's more reliable - as well as cheaper and more convenient - to back up your files regularly to an established location. This way, you'll know at once where to turn should you need to call on that 'spare' copy of your annual report, tax spreadsheet or, even more valuable, the photos from your once-in-a-lifetime holiday. None of this is difficult: external hard drives cost around $100 per 500GB, while online archiving can be free. Step 1. With Vista, Microsoft introduced a dedicated backup module: the Backup and Restore Center. It's included in Windows 7 too. Go to Control Panel, choose System and Security, Backup and Restore. XP users will find similar tools under Control Panel, Performance and Maintenance. Step 2. Let's back up the PC for the first time. Click the option to back up your PC and you'll be taken to the Backup and Restore Center. You need a suitable device to back up to; unless you're on a network, a USB hard drive is the best bet. Browse for a backup device and you'll see how much space is available on your chosen drive. Step 3. If you allow Windows to choose what to back up, it will automatically back up the files and folders under your user account and any other user account or public/shared account on the local drive. Networked and attached drives aren't backed up, so this will need to be done separately. Step 4. First-time users will need to choose a convenient time for backups. Windows will normally schedule this for once a week. On the settings page you can accept this or click the 'Change schedule' option. When you're happy with the arrangement, click 'Save settings and run backup'. Your initial backup will now begin. Step 5. Having performed an initial backup of all the user accounts and files on our PC, we'll now elect to run a regular backup of just the 'Rosie' user account. Hit 'Change settings' in the Backup and Restore Center and decide what to back up. When you're happy, select 'Review your backup settings', 'Save settings and run backup'. Step 6. Some people don't back up their PCs regularly because it takes too much time or slows down the system. But it's definitely worth the trouble. Besides, on a newish machine, a complete Windows Backup shouldn't hog too much processing power. For an overview, go to Start and type Resource Monitor. Step 7. The Backup and Restore Center has two more types of backup worth performing as soon as possible: a system repair disc and a system image. The former can help you restart the PC when Windows won't boot. Choose 'Create a system repair disc', insert a blank disc when prompted and press 'Create disc'. Step 8. It takes only a minute or two to create a system repair disc. Press ok when Windows Backup indicates that the disc has been created. A message will instruct you to remove the disc and label it: we'd suggest the slightly longer [computer name] Repair disc Windows 7 [32/64]bit. Store it somewhere safe. Step 9. Finally, let's create a disc image. This will come in useful if your PC experiences a catastrophic failure and you need to reformat the hard drive or reinstall Windows then restore your desktop and settings. As you'll be warned if you attempt to do so, you can't create this over a network. Step 10. Here, Windows tells us a 1GB USB drive would be sufficient for our drive image. However, an optical disc, carefully stored, will probably be more reliable than a convenient but easy-to-lose USB flash key. As with your system repair disc, ensure you keep the drive image disc or USB drive somewhere safe, and label it clearly.